I got yarn in the mail! 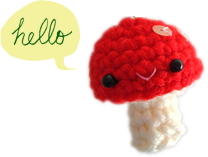 From my friend Amy :D She has so kindly asked me to try out her pattern and sent me this gorgeous yarn. I absolutely love the forest tones in it, with the yellows and greens and blue. What a treasure. I love working with variegated yarn and seeing how all the different colours blend differently in each stitch. Cannot wait to start making the cowl! What cowl, you ask? The Love‐Me‐Knot Cowl! 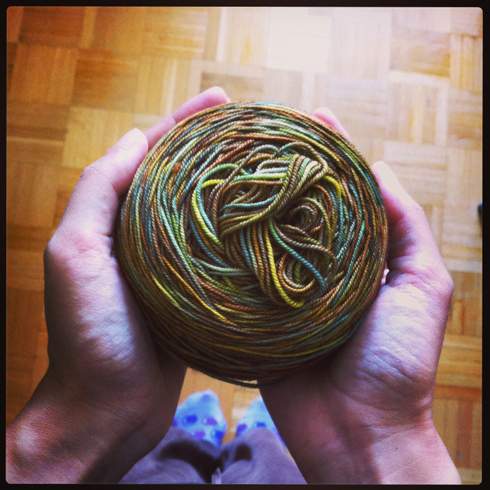 But this particular skein of yarn is more than just yarn. It actually arrived at a time when I was very much not myself. I had just finished my final semester, feeling lost, purposeless and more than a little afraid after being in school on and off (more on than off) for 10 years, which resulted in four degrees but little job experience. Sent out dozens of job applications and heard nothing in return. And then there was administrative mix‐up at school that could quite possibly jeopardize my graduation. My future was looking rather bleak. And then this yarn came in the mail, with a lovely hand drawn note, and generosity and kindness that expects nothing in return. It reminded me of what I want to be for others and why I took the (long) path to be where I am today, and brought back some sense of purpose. I’m therefore truly blessed by this yarn, and most importantly Amy’s friendship. Happy September! May you find joy and new learning in all that you do.